Europrom Ltd. would like to introduce “Tzar Caviar” - a new delicious product consisting solely of genuine natural components with no artificial additives. Made of ocean fish fillets “Tzar Caviar” offers the delight of the original sturgeon caviar taste, but its reasonable price makes it affordable for a wide range of consumers. Due to the precise balance of fats “Tzar Caviar” perfectly affects blood circulation and digestive system of human body. Never before substitute was so close to the real caviar! “Tzar Caviar” is highly appreciated by food experts and connoisseurs. It has received numerous awards at international and domestic exhibitions. 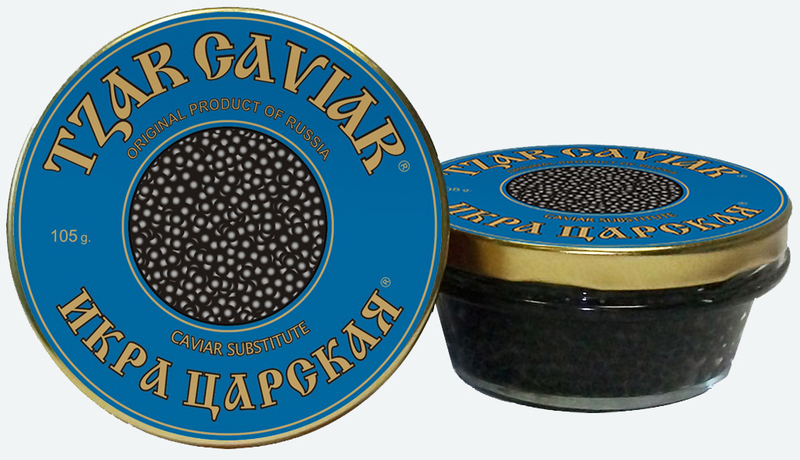 “Tzar Caviar” takes 74% of the whole caviar substitute Russian market. The product is supplied to all regions of Russia, Belarus, Ukraine, Germany, Holland, Czech Republic, Bulgaria, Israel and other countries. Tzar Caviar is packed in the original Russian caviar jars.